This is a rectangular Nevr Nox porcelain sign. This particular Nevr Nox sign is predominantly white and red with black print. 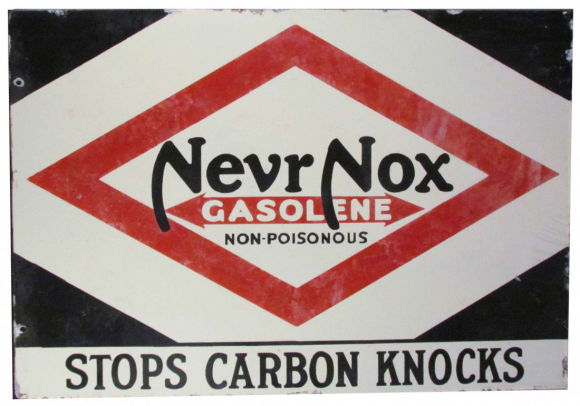 It reads, “Nevr Nox Gasolene, Non-Poisonous, Stops Carbon Knocks” and features a red diamond in the center.